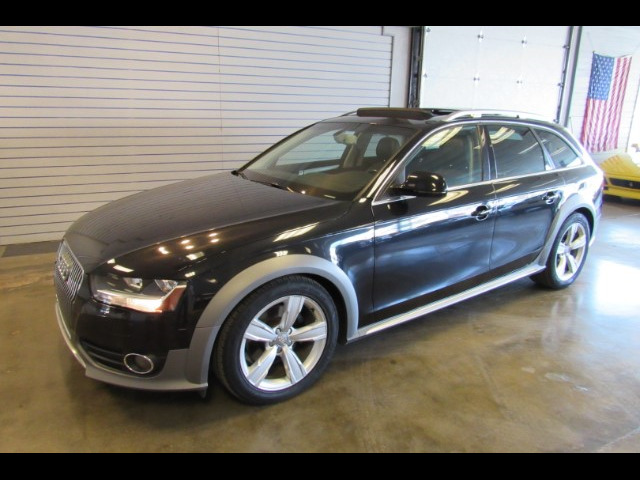 Used 2013 Audi allroad 2.0T Premium quattro Tiptronic for Sale in Denver CO 80220 Weisco Motorcars, LTD.
Black over Black with only 39k miles. The Allroad has the 2.0 Turbo charged 4cly with an automatic transmission and make an excellent year round vehicle for Colorado. Has nice options like panoramic sunroof, keyless entry, power seats, power locks, CD player, audio auxiliary input, and much more. Both the inside and outside are in very nice shape with no door dents and is ready for the new owner. Call Weisco Motorcars for more info or to set up a time to stop by for a test drive. Extremely well maintained Audi. The interior leather and finishes look nearly new without wear marks or rips or scuffs and we haven't even noticed a door ding on the exterior. For a pre-owned vehicle this condition of this Audi is one of the nicest you will find. We have full Platinum Certified warranty options available that can be tailored to your driving and length of ownership expectations. (You can choose a warranty that would extend full coverage for up to 4 years or an additional 48,000 miles for this Audi). Like all of our vehicles, feel welcome to ask us for a Carfax vehicle report with buyback guarantee. Financing available from 2.49% wac. Terms of 24-84 months plus leasing available. goto WWW.WEISCOMOTORCARS.COM for more information and pictures.